Graduated from St. Peter’s College with a BS Degree. Thereafter, he graduated from Seton Hall University Law School with a JD Degree in 1964. He also received a Masters in law degree from Brooklyn Law School in 1966. He commenced his legal career as an assistant prosecutor in Hudson County from 1964 to 1970. 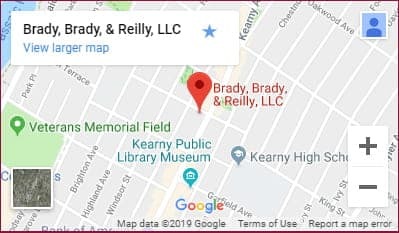 He was certified by the Supreme Court of New Jersey as a Certified Civil Trial Attorney in 1982 and has continued to be so certified up to the present time. He has also received Board Certification in Civil Trial Advocacy from the National Board of Trial Advocacy. He is a member of the West Hudson, Hudson County, New Jersey State, and American Bar Associations.